4 When News Matters, It Matters Where You Get Your News. 5 What concerns you, concerns us. 6 We Report To You. 10 Right Here. Right Now. 12 People You Can Count On. 17 The Name You Know. The News You Need. 19 It's Time To Get Connected. 20 It's About All Of Us. 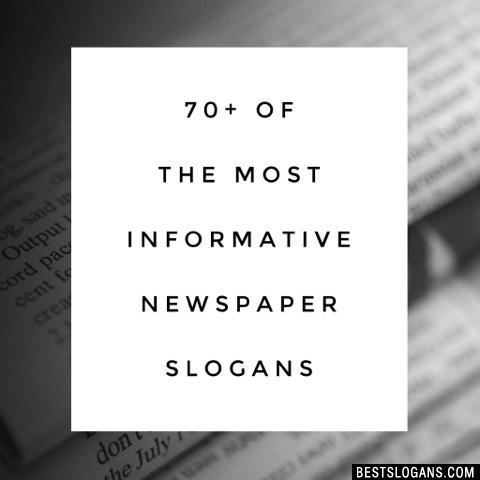 Can you think of a good Newspaper Slogans we're missing? Or come up with a clever one of your own. Please share below.